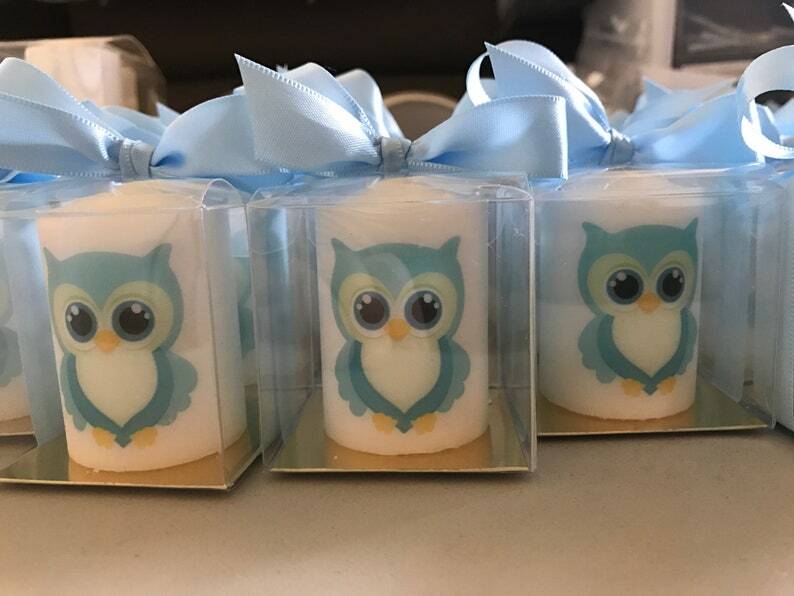 You are getting a beautifully boxed or tulled and personalized party favor votive candle! 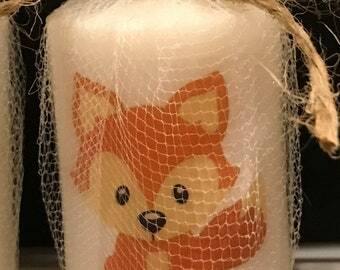 Any image can be melted onto these votive candles to match your party theme ! Send us a picture of your invitation and we can match most images ! Each 2 inch candle comes in tulle with choice of ribbon color and wording. $2.25 each. Clear boxed version, custom color bottom, ribbon and personalized tag :) Each 2 inch votive has a hand burned on image, boxed in a clear 2x2x2 box, based placed in each box to secure the candles in place (tan, gold silver or color) wrapped in the bow color of choice and finished with a thank you card stock card $2.50 each. Please Order your quantity and leave the details in the message to seller box when checking out. We have 26 colors for ribbons so please let us know what color you want and if we don't have it we will let you know Thanks ! If a picture is not specified you will get the picture as shown above. THANK YOU for your business !